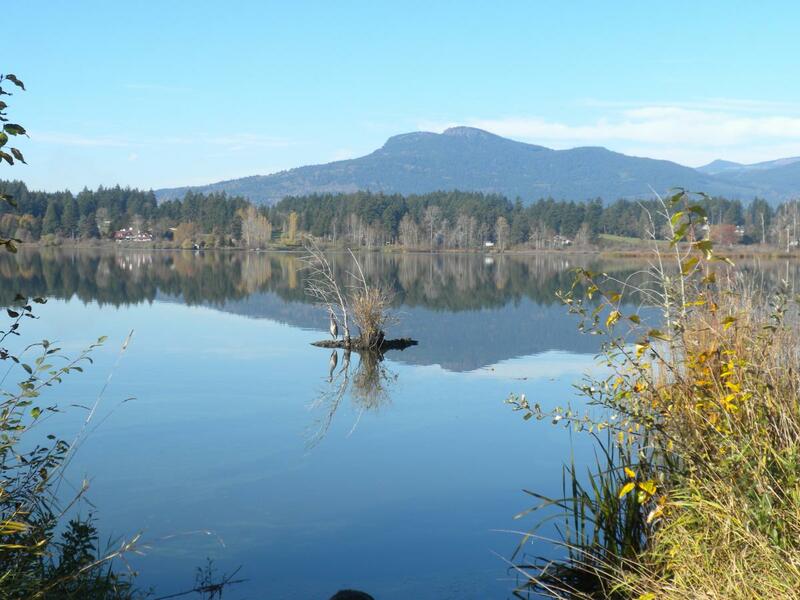 The Quamichan Watershed Stewardship Society (Quamichan Stewards) was formed as a sub-committee of the Cowichan Land Trust in the spring of 2006 to respond to the continuously declining health of Quamichan Lake. After two years of initial research and investigation it was able to move forward to prepare a Watershed Management Plan. With nearly $50,000 from the federal EcoAction Community Funding Program, $10,000 funding from the Pacific Salmon Foundation and substantial in-kind and cash donations from the community, the Management Plan takes the whole Quamichan Watershed into consideration and provides a blueprint for restoring the lake to health. The plan was developed in partnership with all of the stakeholders, including the Department of Fisheries and Oceans, the B.C. Ministries of Environment and Agriculture, the Municipality of North Cowichan, local farmers, and residents of the watershed. In May of 2010 the Quamichan Stewards received a new grant from the federal Environment Canada EcoAction Community Funding Program to begin implementing the Management Plan. To kick this off, the Quamichan Stewards co-hosted the BC Lake Stewardship Society’s 2010 Community Forum. This was made possible with the addition of other funding from TD Friends of the Environment Foundation, Nature Trust, Pacific Salmon Foundation and Sea Spring Salmon Farm. This event was a huge success and drew in over 400 people!